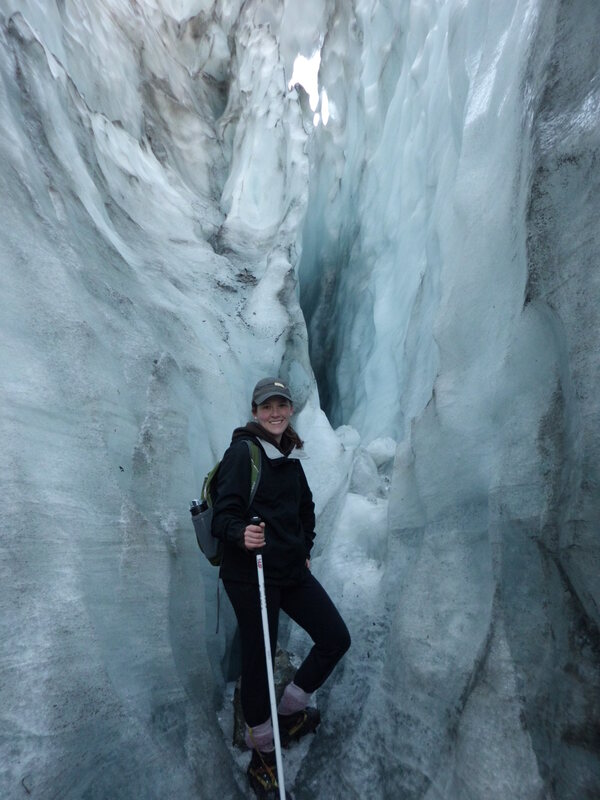 Lauren Eyrich is a third-year student in the Oregon State University Honors College majoring in Animal Sciences with an option in Pre-Veterinary Medicine, and is a member of the Pre-Veterinary Scholars Program. During Summer and Fall of 2013, Lauren studied abroad at Lincoln University. At this University located outside of Christchurch, New Zealand, Lauren participated in an animal sciences focused program through OSU’s College of Agricultural Science. She also detailed her term-long experience abroad in her own personal travel blog. 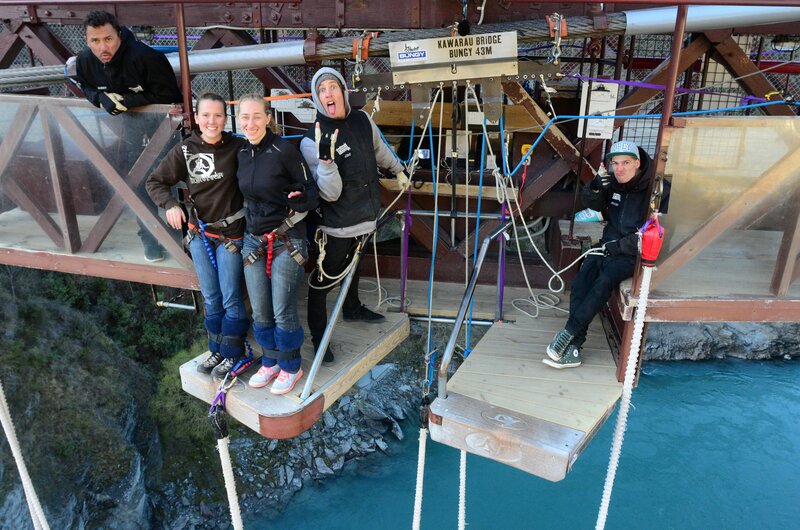 If you had asked me while I was abroad what I was taking away from my experiences in New Zealand, I would have talked about rugby matches, cooking venison, driving on the opposite side of the road, and jumping off of a bridge. What I’ve come to realize after the fact is that, these were all just experiences. Don’t get me wrong, the experiences were amazing and nothing I would have traded for the world. I got to see so much in such a short amount of time, but the true impact of my time in New Zealand wasn’t realized until I was packing up my room and heading back to the U.S. after five and a half months. I have always been a planner. I’m a pre-vet student, and between a full course load, 10 hours of work per week, and a job shadowing, I have a very strict schedule. But, if New Zealand and the Kiwis taught me anything about life, it’s that you shouldn’t have everything planned out. If you have everything planned all the time, you have no room for adventure. This became incredibly clear while I was touring the South Island on my mid-semester break with three friends. We took off on the few highways that the country possesses and didn’t really have much of a plan. We “freedom camped” a few nights on the side of the road, ate mostly-cooked spaghetti off a burner that didn’t always work, and drove thousands of kilometers with no true destination. We knew we had two weeks to cover as much ground as possible and that we had to have our rental van back by the specified date. For the girl who always has to have everything planned, there was something very freeing about not knowing what the following day held. You are able to enjoy life so much more when you’re not concerned about having to meet deadlines. Being able to pull over on the side of the road and take in the sunset, without the pressure of needing to get to a campsite or hostel made the experience that much more enjoyable. 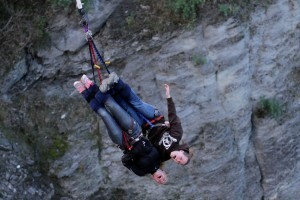 I mean, I was able to go bungee jumping! Never in my wildest dreams would I have planned something like that into my schedule. And I can say now as a bungee survivor, I am really glad that I didn’t count that one out from the get go. 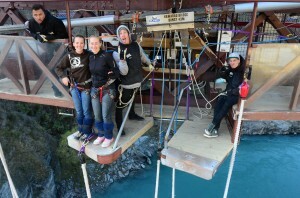 Overall, the Kiwis taught me to plan a little less and improvise a little more. My future career as a veterinarian will be filled with schedule changes and missed deadlines, and that’s okay. I have begun to learn how to roll with the punches so to speak and not get overwhelmed when things don’t completely abide by my schedule. It’s okay to improvise. The greatest moments in life are the ones when you are able to sit back and relax, without being distracted by the bustling world. Although I have gotten sucked back into my busy schedule, I try to find some time every day where I can simply let life happen and slow down to enjoy the people and things around me. My time in a small town outside of Christchurch, New Zealand is continuing to impact my life in ways that I didn’t expect! Posted in College of Agricultural Sciences, Exchange, New Zealand, Returnee, study abroad.